Two men were rushed to hospital after another possible package bomb exploded at a home in southwest Austin on Sunday evening, March 18, according to local reports. The explosion comes hours after Austin’s police chief urged the suspect or suspects of the recent three package bombings to surrender. Emergency crews responded to a call from a house at 4800 block Dawn Song Drive just after 8:30 p.m. on Sunday. Two males in their 20s were transported to the hospital with serious injuries. Their conditions are “not expected to be life-threatening,” according to a tweet by Austin-Travis Country EMS. Police have not confirmed the source of the explosion. Austin Police Chief Brian Manley gave a brief statement to the press at around 10:30 p.m. local time to confirm that there had been an explosion. Police have urged residents in the area to stay in their homes and stay away from any packages. “Given the darkness, we have not had the opportunity to look at this blast site to determine what has happened. But it’s obvious that there has been an explosion. It’s obvious that it has caused significant injuries to two people,” Manley told reporters. “[I]t’s important right now for anyone in the neighborhood behind us to remain inside to give us time to work through this. “Do not touch any packages or anything that looks like a package, do not even go near it at this time. Manley said they were also investigating a second item in the area — a backpack — to determine whether it was a safety risk. “We don’t know a lot at this point. It is all unfolding,” the police chief said. Earlier today, authorities announced a $115,000 reward for information leading to an arrest regarding the recent package bombings, reported KAXN. The bombings started in early March and have killed two people and injured two others in three separate incidents in Austin. 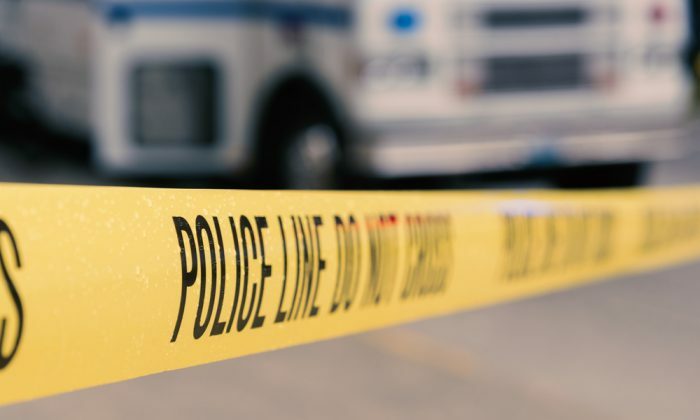 The first incident occurred in north Austin on March 2 where an explosive device inside a package blew up and killed a 39-old-man. The second blast occurred at a home in east Austin on March 12 and killed a 17-year-old man and injured a woman in her 40s, reported USA today. A third explosion also occurred on March 12 which shared similarities with the first two incidents and injured a 75-year-old woman, reported the news station. During the news conference, Manley pleaded with the suspect or suspects to turn themselves in. “We hope this person or persons is watching,” Manley said. Manley said the three package bombings “were meant to send a message.” He assured that the explosions — for which all of the victims have been either black or Hispanic — had garnered global attention, according to the news conference. He added that police have not ruled out hate crime in their investigations. The police chief said he wanted to understand why the suspect or suspects were doing this. “We want to understand what brought you to this point and we want to listen to you,” he said. Police have urged anyone who has any information to come forward and that no tip or information is too small or inconsequential. “You may have the one piece of information that puts us ahead,” Manley said.